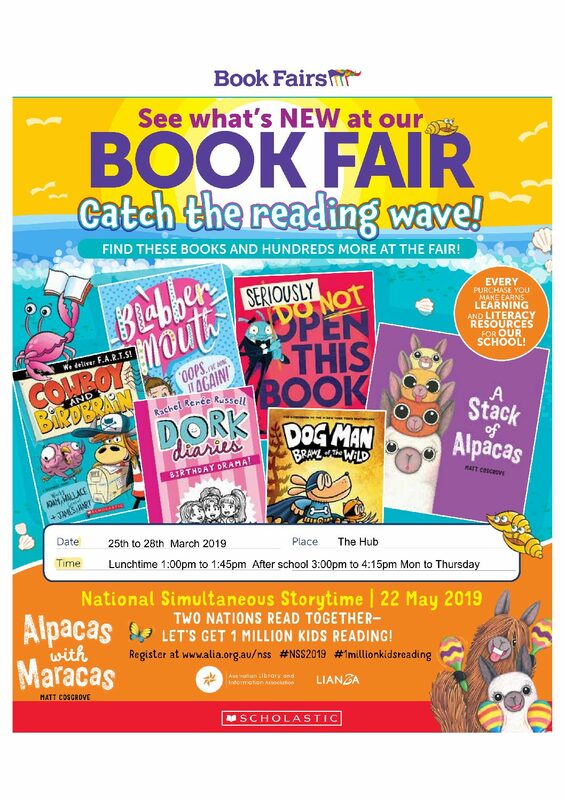 CSPS will be holding a Book Fair during the week of Monday 25 – Thursday 28 March 2019. This year we are introducing a second fun filled book fair. The fair helps our school stock up on resources to enrich our children’s minds. With your support we receive a percentage from the total sales which will contribute towards new books in our library. Purchasing can be made online www.scholastic.com.au/payment, sending money in an envelope with the child’s name and class clearly marked on the front or come in take a look and purchase with cash or card.